I discovered early in life that when choosing between products there are always trade-offs that need to be addressed. In this situation I'm referring to holsters; more specifically the material holsters are made of. 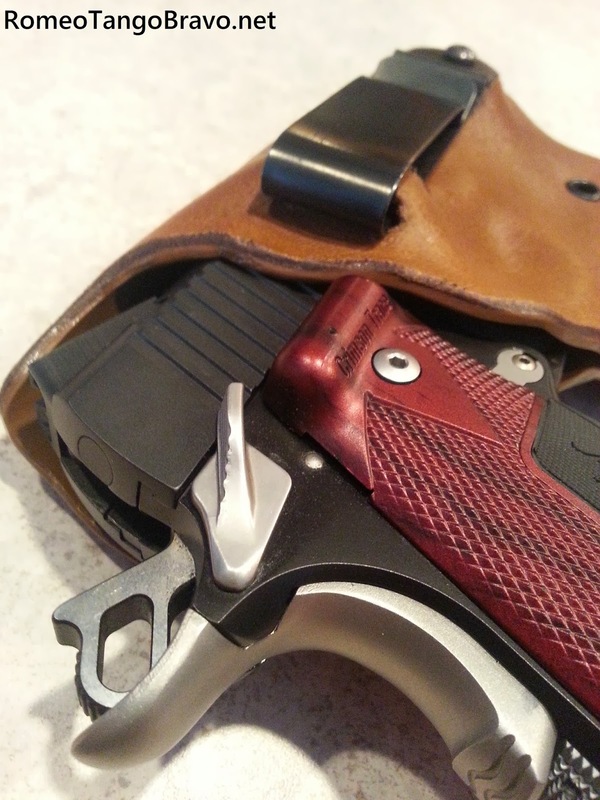 If you chose to carry a handgun concealed you've looked at the options available for inside the waist band (IWB) carry. If you haven't yet I'll summarize what holster materials are most prevalent then introduce a product that I think is a great compromise. Nylon holsters are the cheapest and most worthless IWB holsters on the market. Many people purchase a nylon holster for their pistol so that they have a means of carrying it once they leave the store. The main issue with nylon is that it collapses between your body and pant once the firearm is removed. This leads to issues when re-holstering is required. Nylon also soaks up sweat and keeps this moisture against your pistol for long periods of time. You'll also quickly find that nylon doesn't provide nearly enough comfort due to the lack of structure which also provides no retention whatsoever. Leather holsters have been the standard for many years. Leather is often times thicker and more durable than nylon which offer more comfort and structure. 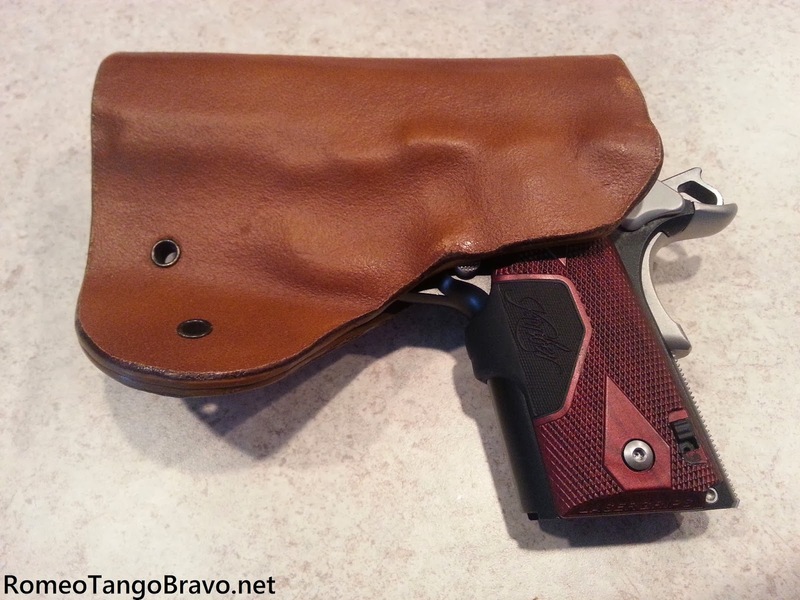 Leather can also be formed to fit a particular firearm; this adds the benefit of retention over a generic nylon holster. 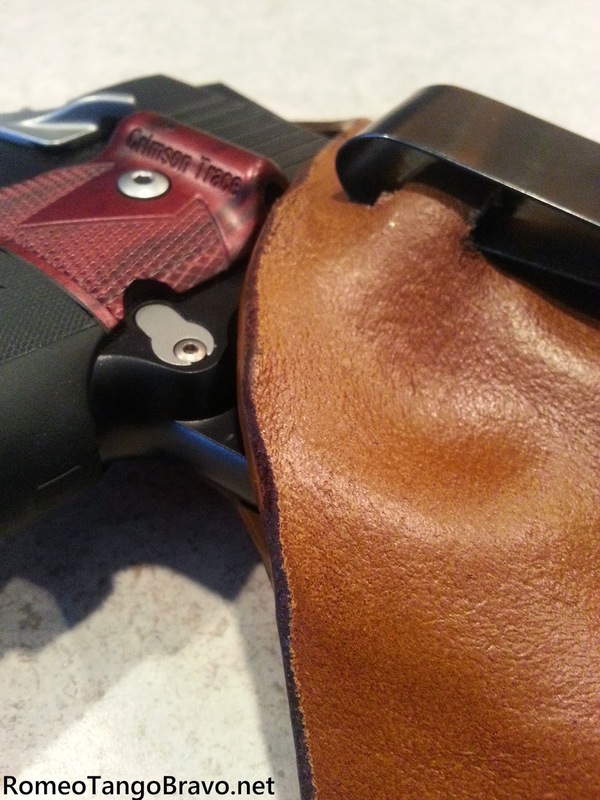 The downside of leather is that it will often retain moisture that can damage a firearms finish and overtime leather holsters can start to loose their formed structure. 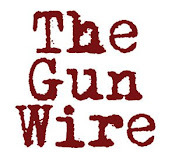 After a long period of use leather will collapse once the firearm is removed and it's common practice to purchase another which can become expensive when a quality leather holster costs anywhere between $80 - $160. Kydex holsters have become very popular due to the inherit work-ability of the material. You can have any number of kydex holster makers mold you a holster that will work with your firearm. These holsters offer superior retention over nylon and don't collect and retain moisture, collapse or wear out easily. 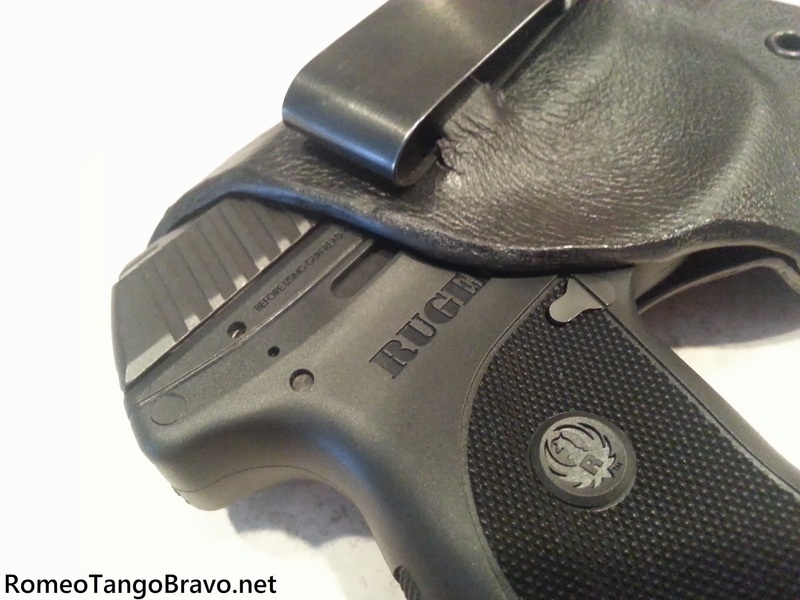 Kydex holsters are often times the best option but they are not without complaint. The material is a hard, cold plastic that doesn't flex and give as you move. If you haven't chosen a good holster maker the holster may have sharp, unfinished edges that can wear out clothing quickly. Oren Benyosef, the owner, has created a hybrid between the options of kydex and leather. With the longevity and security of kydex but the fit, finish and feel of leather; Oren's holsters are a leather wrapped kydex. I didn't know that this option even existed until Oren contacted me and sent me a couple holsters. He sent a black leather wrapped holster for a Ruger LC9 and a brown leather wrapped holster for an Officer Sized 1911; both IWB. When they arrived the first thing I noticed was their biggest selling point; the leather. It had great aesthetics; the feel, smell and look was classic but inside was the durable and reliable kydex. Upon close inspection there is an almost indistinguishable seam between the leather and kydex. This seam made me weary at first and I mentally noted it as a possible failure spot. 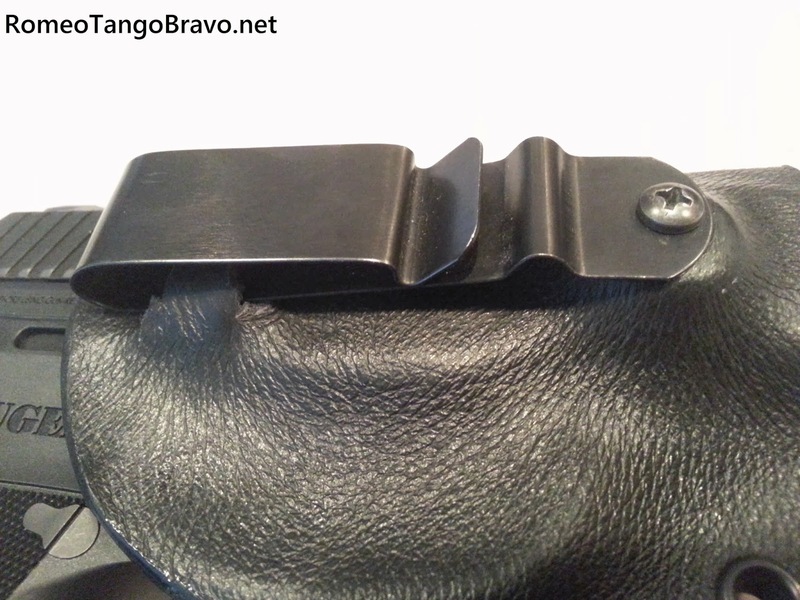 The hardware included with the holster was a single metal belt clip. I'm not a metallurgist and don't make a habit of pretending to be but it appeared more robust than any other cliped holster you'd find on the shelf. I started carrying a LC9 and Jason (the occasional blog helper) started carrying his Kimber Ultra Carry in the Bearhug Holsters on November 18th and we've had an overall positive experience. 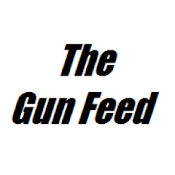 The firearms were retained securely in the kydex and the metal clip has proven to be robust. My earlier mental note of keeping an eye on the leather/kydex seam proved to be unnecessary. The mating of the leather and kydex has proven to be very durable. 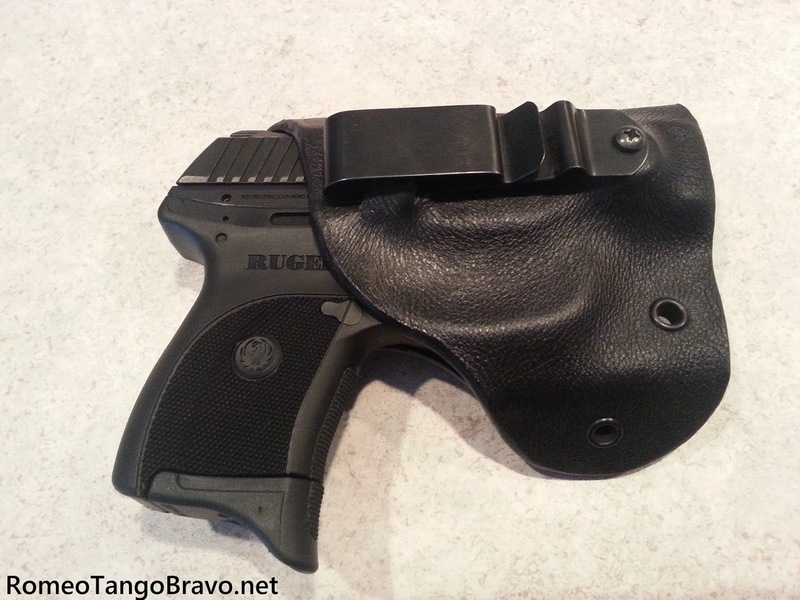 The shape of the holster made it very comfortable around the 4-5 o' clock position. Here is a video made by Bearhug Holsters trying to separate the leather from the kydex with tools. 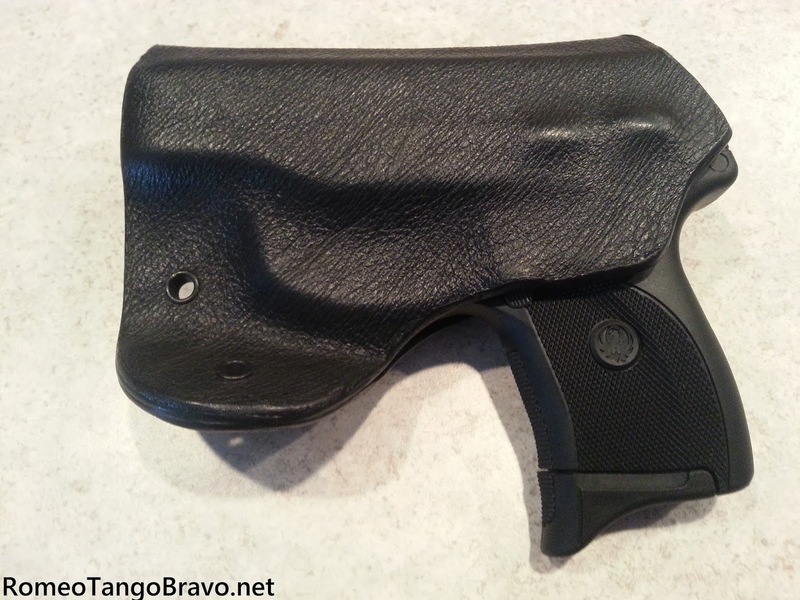 The addition of the leather to a kydex holster is welcomed and beneficial. The entire time I've been carrying the Bearhug Holster has been in colder temperatures here in Wisconsin I am interested to see how well it will hold up in the heat of the summer. My overall experience; along with my buddy's has been positive. My only request would be a model designed for appendix carry; as I prefer the gun at my one-ish o'clock. If you are looking for a comfortable, durable and good looking IWB holster I'd give Bearhug Holsters a close look and a lot of consideration. Bearhug Holsters make these for nine different brands and will fit well over 30 models. You have the option of black, brown or tan leather in either left or right hand configurations. At the time of this writing the holster has a cost of $75. 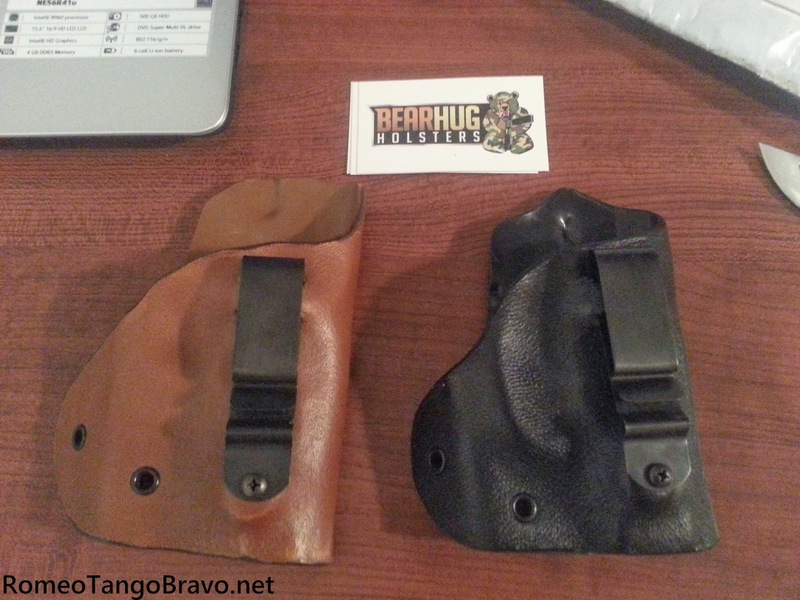 Bearhug Holsters also offers standard kydex holsters in all of the above models with a light bearing option. You can check out their custom knife and sheath selection as well. Weird. I always thought the leather went INSIDE the kydex (like with the Silent Thunder Fustion)--to protect the gun from abrasion and make for a silent draw instead of the pop and scrape of kydex. These do look nice. Kydex is an trusted brand in the field of making quality holsters.